If you’re not enjoying the benefits of the mighty mushroom yet, consider this post your invitation to get started. We’ve got all the information you need to choose the best medicinal mushroom supplement for you, from powders to capsules, plus our top brands to try if you’re just dipping your toe in. Whether you’re biting into a vegan portobello burger or spooning sautéed mushroom sauce over roast chicken, you’re eating a member of the fungi family. It’s believed the word mushroom is derived from the French term mousseron, in reference to moss, and there are more than 14,000 species of mushroomsaround the world. Among them, approximately 2,000 are edible—so, if foraging in the wild is on your bucket list, consider this your friendly PSA to hire a professional to tag along. You’re probably familiar with the most popular mushrooms varieties like morels, shiitakes, and creminis, but there’s another category of mushrooms that may have extra nutritional benefits. Medicinal mushrooms have been used since Egyptian times, when locals believed they were plants of immortality, and mushrooms remain a key ingredient in many Asian cuisines today. A medicinal mushroom is a fungi known for its wellness properties, and is often packaged up in a convenient powder or capsule (more on those below!). Medicinal mushrooms hold their designation because they’re used to help prevent and treat diseases. One reason for their potential potency is because mushrooms contain beta glucans, a type of sugar that may help support the immune system. Another study published in Biological and Pharmaceutical Bulletinreported that the cordyceps fungi helped lower blood sugar in diabetic mice. 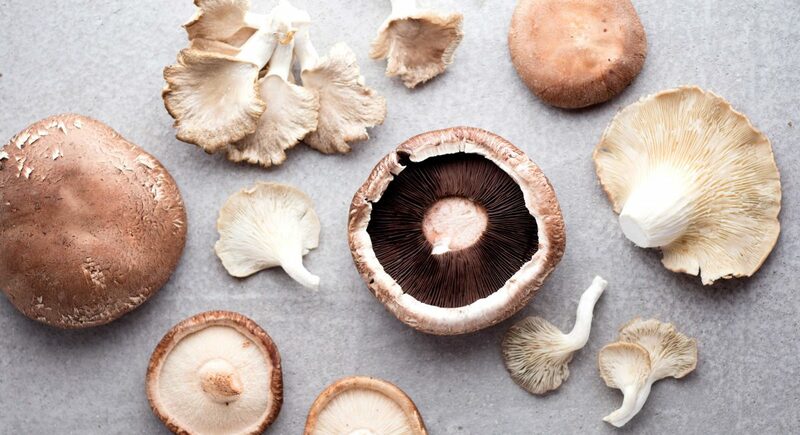 There’s a lot of research happening in the world of medicinal mushrooms, so the full range of benefits is still being evaluated, but one thing’s for sure—these mighty mushrooms are worth adding to your diet. Now that you’re up to speed on medicinal mushroom varieties, which supplement should you choose? Here are two brands to start with. New Chapter founders Paul and Barbii Schulick started out as retailers in 1982, but became dissatisfied with popular vitamins on the market—both for themselves and their customers. The couple channeled their frustration into developing innovative products for the wellness industry, including herbs, whole food vitamins, and minerals. Purity: Nothing less than organic ingredients will do, and New Chapter blazed a trail to produce its line of certified organic whole-food multivitamins. Wholeness: Many conventional vitamins and supplements are synthetic chemical isolates, but not New Chapter. Its products are made from whole foods so they’re easily digested and absorbed, even on an empty stomach. Sustainability: New Chapter sources many of its ingredients from Luna Nueva, the company’s own biodynamic farm nestled in the Costa Rican rainforest. It also became the first vitamin and supplement company to have at least 85 percent of its products Non-GMO Project Verified. And as a Certified B Corporation, New Chapter focuses on waste reduction, climate-friendly farming, and sustainable sourcing. Science: A dream team team of scientists and research partners hailing from all sectors—naturopathic medicine, urology, biology, integrative medicine, biochemistry, agriculture, and nutrition—help to ensure that all New Chapter products are based on the latest scientific research. Now let’s dive in to some of the most popular types of mushrooms you’ll find in common supplements. Chaga is a superfood mushroom that grows on birch trees native to the forests of northern Russia, Europe, and Canada. Used for centuries in ancient Chinese medicine, chaga is one of the highest sources of antioxidants found in nature, and is believed to have anti-inflammatory properties. Revered for anti-aging properties that may help you keep a youthful glow, this chaga works as a natural adaptogen that may help balance the metabolic system. Stir this powder into your morning drink and you’re good to go. Cordyceps is a genus of parasitic fungi that grows on the larvae of insects. This fungi first attacks its host, then replace its tissue by sprouting long, slender stems on the outside of the host’s body. 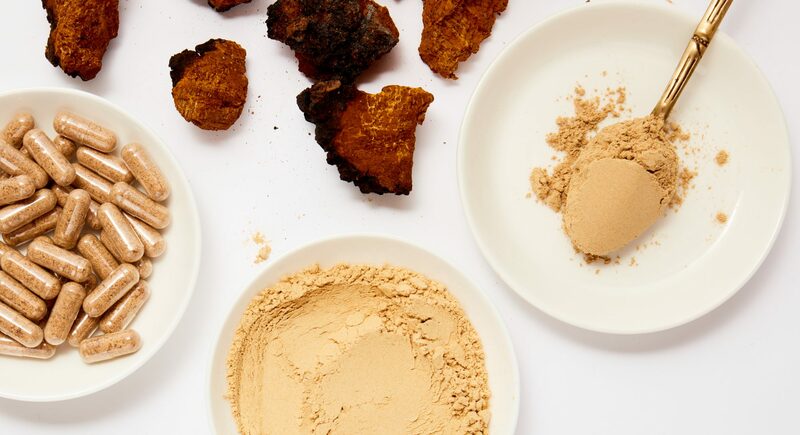 That might not sound super appetizing, but hear us out—in China, wild cordyceps has been used to help increase energy, treat asthma, and support the liver and kidneys. Chat with a health professional to find out if this is the right supplement for you. An active adaptogen, this potent tonic has just one ingredient: organic cordyceps grown in the U.S. Ground into a convenient powder, simply dd ½ teaspoon to water, coffee, or tea, or try it mixed into broths or soups. Both a culinary and medicinal mushroom, lion’s mane is a white, globe-shaped fungi with long and shaggy spines. It’s been widely studied for health properties, and has been found to help boost the activity of the intestinal immune system in mice, encourage growth of beneficial gut bacteria, and possess neurohealth properties that may support brain and nerve health. Keep the sparks alive … in your mind, that is! This supplement is health food for your brain, and may support cognitive function, clarity, and creativity. Add a single teaspoon to smoothies or lattes to start reaping the benefits. Reishi is a medicinal mushroom known for its woody, slightly bitter taste. Once reserved for Chinese royalty, (reishi’s Chinese name, Ling Zi, means “tree of life mushroom”) this mushroom grows on dead or dying trees, particularly hemlocks. The cap, which starts out a shiny, reddish brown color and then dulls with age, can grow up to a foot wide! Ready to add to lattes, smoothies, or teas, this sustainable and organically grown reishi mushroom powder may help you feel more energized throughout the day. One of the most popular mushrooms in the world, shiitakes contain a a polysaccharide known as Lentinan, which Cancer Detection and Prevention Journal described as “a unique class of immunopotentiator” that may help improve quality of life. These capsules are made with organic tonic mushroom strains—like reishi, shiitake, and poria—using extracellular compounds, fruiting bodies, and spores. Take up to two vegan vitamins every day for maximum benefits. Now let’s dive in to even more of the most popular types of mushroom supplements on the market. Whether you’re chugging chaga or adding reishi to your next latte, there are plenty of ways to enjoy these ingredients. 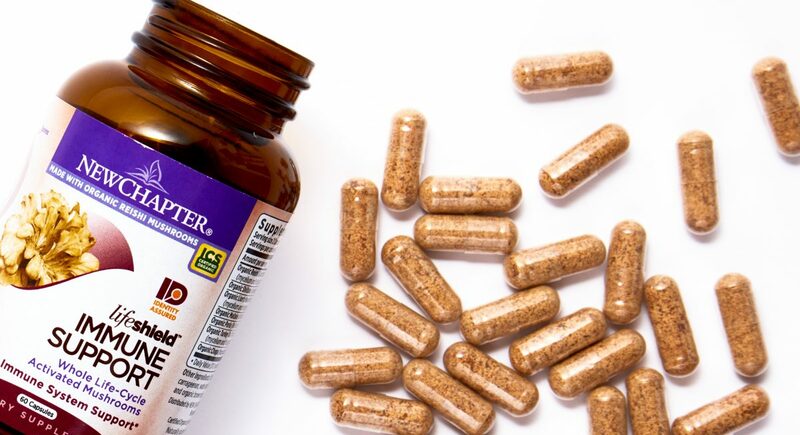 These vegetarian capsules (you get 60) use organic reishi that’s freeze-dried to deliver maximum nutrients. Swallow them whole or break them open and sprinkle the powder over yogurt, granola, or other dishes. 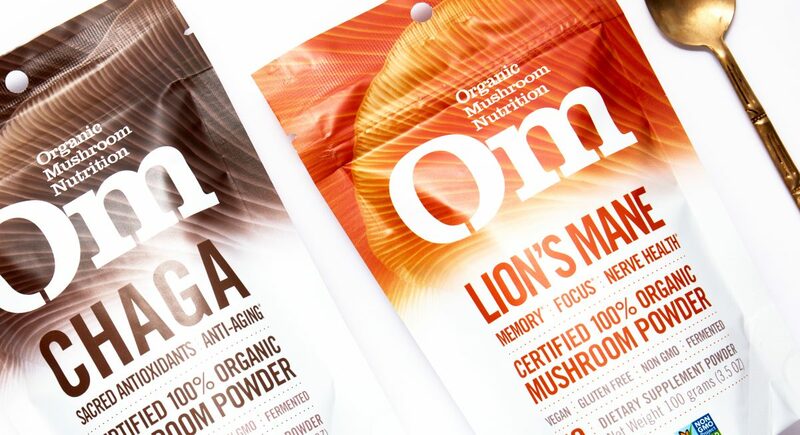 This mushroom blend is packed with a medley of chaga, lion’s mane, reishi, cordyceps, and more. Add a scoop to your morning smoothie, an afternoon latte, or sprinkle onto foods like oatmeal and soup. There’s a potent combination of mushrooms inside each of these vegan capsules, including reishi, maitake, chaga, and cordyceps, plus herbs like turmeric to help support overall wellness. With a daily dose, each bottle should last about two months. Turn other tea drinks green with envy when you mix up this fungi-powered latte. Each packet includes ceremonial-grade matcha plus coconut milk and maitake mushrooms. The mushrooms inside this extract have been organically grown in the U.S. on wood logs and irrigated with natural spring water. The concentration is 10:1 reishi powder to water, delivering a potent product right in your kitchen. Enjoy one packet per day, with or without food. With seven different organic mushrooms—including turkey tail, reishi, shiitake, lion’s mane, chaga, cordyceps, and maitake—this fermented blend has been perfectly formulated and fermented to help support the immune system. Take up to three vegan capsules daily. Known as the “king of plants” in China, chaga takes up to 20 years to reach maturity. Over time, this concentrates essential nutrients and enzymes that you can add to your favorite drinks on the daily. Just add a teaspoon to your coffee or tea in the morning. Here’s a tonic with added citrus to make it easy to put mushrooms on the menu. The mix includes a proprietary blend of cordyceps, reishi, agaricus blazei, shiitake, maitake, and turkey tail mushrooms fermented on organic oats. Every scoop is vegan, gluten-free, organic, and delivers 5 grams of fiber per serving. Stirring mushroom supplements into drinks is an easy way to get your daily dose, but we have a few more ideas. We’re pretty wild about soup season, and loving this comforting recipe that pairs mushrooms fall all-star pumpkin. Curry powder lends extra flavor while rich coconut milk turns down the heat. Plus, a scoop of reishi mushroom powder works as an adaptogen to help your body stay balanced. Bring the flavors of New Orleans home—with a fungi twist. Our savory version mixes up a batter with porcini powder, fermented black seed powder, and savory herbs like sage and rosemary. In need of a night cap? Start with red wine, then whisk in cacao powder made with cinnamon, cardamom, and superfood mushrooms. Each packet delivers 500 milligrams of dual-extracted, log-grown red Reishi mushrooms, so you can enjoy a relaxing night.